Api Seamless Pipe of API 5L GR.B will often be categorized based upon the way in which it was manufactured.Two main methods of manufacturing api seamless pipe exist,cold drawing and hot finishing.Cold drawing refers to a tube-building method in which the tubing is drawn,or shaped at room temperature.This method is good for creating a better surface finish, closer tolerances,lighter walls or smaller diameters of tubing.Hot finished API 5L GR.B seamless pipe is made without the use of any cold finishing,meaning that the seamless pipe is built while the material is extremely hot.Both of these processes are commonly used. 5) Packing: Bundles wrapped with strong steel trips, caps on two ends of every pipe or according to customers' requests. 6) Surface: Oiled or black painted to prevent rust. 7) Delivery time: 15 days after receipt of the order. 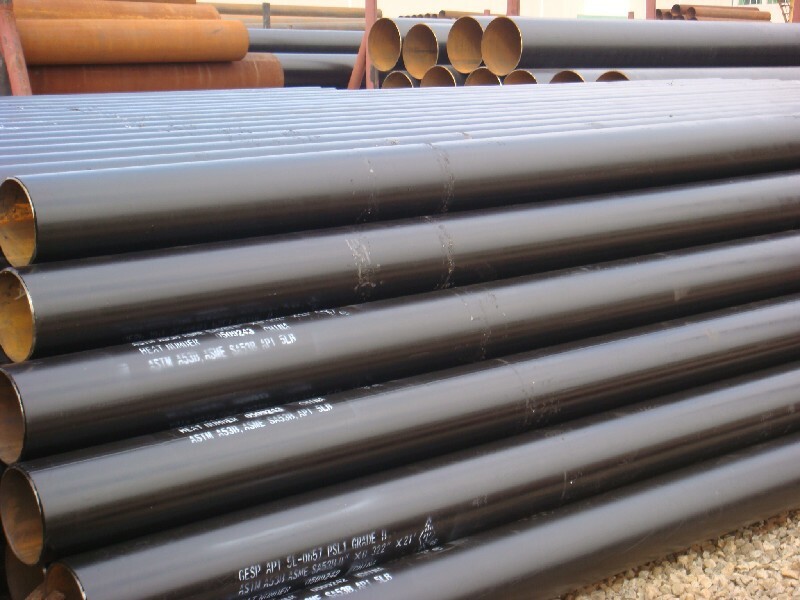 We are a supplier of Api Seamless Pipe of API 5L GR.B ,besides,we are also a supplier of API 5L GR.B carbon seamless pipe,great advantages and experience make us has obtained a huge number of customers from all over the world. This entry was posted in API Steel Pipe, products. Bookmark the permalink.